Chinese Laundries: What’s in A Name? The highest frequency of names of Chinese laundries involved “Lee” as in Sing Lee Laundry or Same Lee Laundry. However, the laundryman was not named “Sing Lee” or “Sam Lee” as many customers assumed. Lee, or Li, referred to the concept of “profit” and not to a clan name of Lee. Examination of the written Chinese character for Lee in a laundry name clearly shows the reference is to monetary rewards, and not to a clan name. Sam Lee was not only not a “Lee” but his first name was not “Sam.” Sam refers to the number three in Cantonese. Thus, Sam Lee really means “triple or three-fold profit.” One could think of it as wishful thinking that if a prosperous sounding name was used, the laundry might live up to its name. Of course, there were thousands of Chinese laundries, and some were indeed named after the owner or perhaps the location of the store. 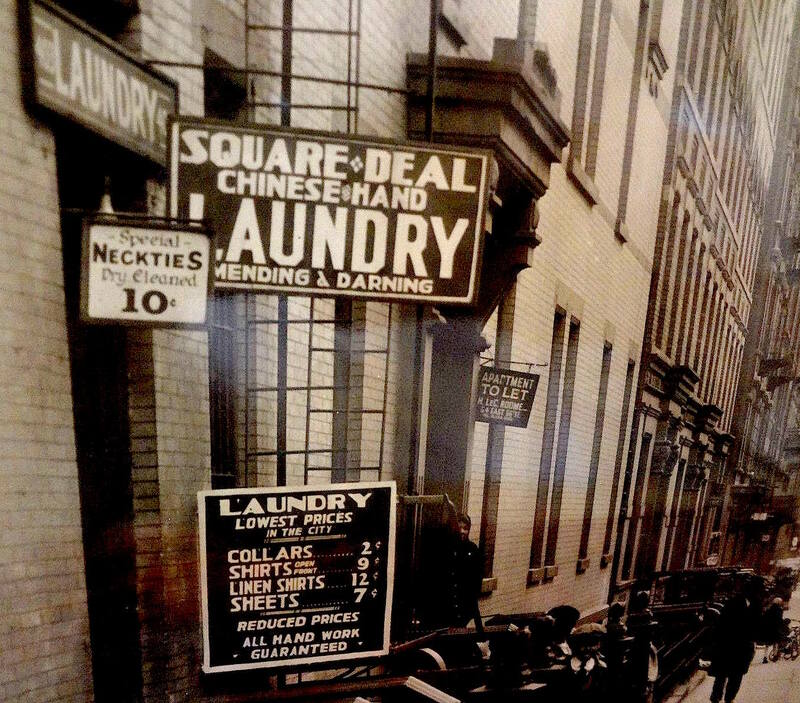 One of the more unusual names was the Square Deal Laundry in New York on 69th Street near 1st Avenue. A 1931 photograph of the Square Deal Laundry was kindly sent to me by Shallesh Saigal. Note also that even as early as 1931, the laundry sign shows dry cleaning service was offered. In addition, the laundry offered mending and darning, services which seem to have gone out of style today. 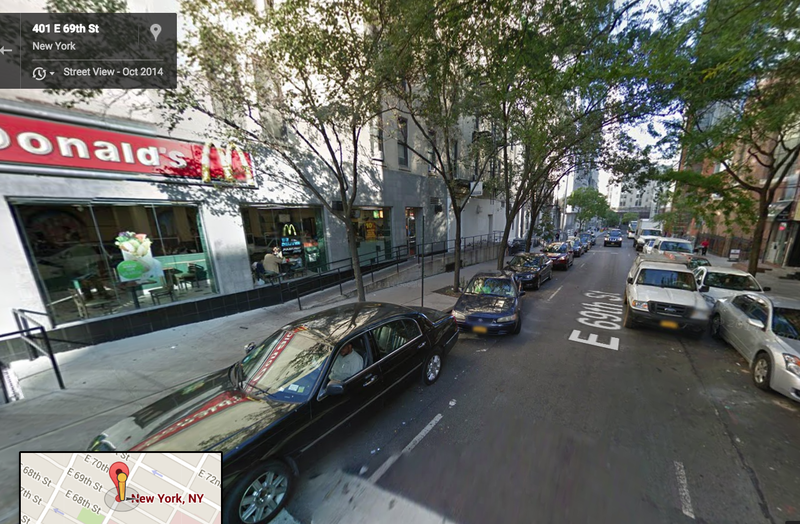 Out of curiosity, I wondered how the 69th Street neighborhood has changed since 1931. The google map suggests that the Square Deal Laundry gave way to become part of the site where a MacDonald’s now sits. You might say that the “Square Deal” has become a “Happy Meal”!